Hello guys, how was your weekend? Mine was fantastic and i hope you enjoyed yours too. 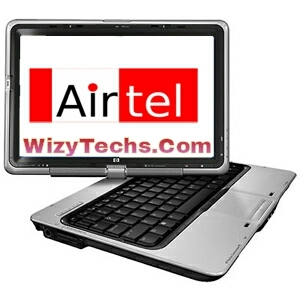 Well, i want to share this trick on how to you airtel 1000 Naira for 3GB data on your android devices and laptops. This will be an option for every android user especially those that haven't gotten the free 4GB data from Etisalat that i recently posted on this blog. This Airtel 3GB data plan is not like the usual airtel android data plans that use to zap once you activate your data. This plan is normal and airtel network is stable in most locations unlike glo network. It is worthy to note that the popular glo BIS data plan that most people use to use on their device now zaps like hell. So this trick is timely for those looking for a cheaper way to browse in an official way without the use of any VPN application. ==> Airtel Blackberry plan is official. It is very simple and if you have been using glo BIS on android, this trick will be too familiar to you. All you need to do is to tweak this Blackberry 10 IMEI 356760051192 and add any three digit of your choice to it in other to complete it to 15 digits. Normally, once you add the last three digits, the IMEI should be complete and valid but to make sure it is really valid, use IMEI analyzer to validate it. Its very simple, once you have activated it on your android device, and it starts browsing, just tether it via hotspot with your PC or any other device. You can also use USB chord to connect it. Are you still confused? Ask your question using the comments box below and i will try my best to guide you properly. @wizzy what of d daily code? Will it work for daily bis? Please add me on your WhatsApp group 08189449188. At the moment the browsing cheat for Kenyans has been blocked but i will publish another free browsing cheat working in Kenya in few days to come. Keep in touch! Hi wizy, pls, kindly help me out, I'm using 2sims phone and in process of tweaking one of the imei to bb10 imei with MTK engineering, it automatically changed d two to d same ones. What must I do now to change one to the formal imei plsssss. If you backed up ur formwr IMEI, just restore it back but if u didn't, no cause for alarm. Oga wizy...grease 2 your elbow. I have change imei as 356760051168531 and I already subscribed using APN Internet.ng.airtel.com and still can't browse. Abeg help. Abeg wizy the #1000 airtel for 3GB don't stop! ?...twice I bin don't ask airtel to refund my credit that sub was a mistake!! Lol!! Thanks for d great Job u are doing. I don't know may be I'm d only one experiencing this, I can only browse with d airtel bis on my android but not able to download with it. This starts today and my subscription remains 5days to expire. pls look into it, guess airtel has stopped it from downloading. Yes the airtel bis is working, i just did it yesterday. Hi Wizy, I have the imei of my android changed to that of bb z10, and connected, but not with H+ or even H... But same sim browsed fine and faster with H sign on a BB z10. On the tweaked android, just stuck at 2g I guessed, and slower. Any solution pls? I did it also, it didn't work and I have tweaked the imei to bb, z10 please solution please. Pls pardon my late reply. Am bobarded with messages from different topics and angles. As for this airtel bis on android. It is still working. The major cause of its inability to work for some people is probably because they once activated the airtel 2g network data plan which automatically renders all other data pland useless. I faced the issue before i changed my airtel SiM and the Bis started working again. U can try to fix it by opting out of the 2g data package or calling airtel CC to deactivate it for you. Is it still for 1k? Pls wizy what is happening. ....U r not responding to questions. ...is the plan still active....and can one subscribe?....administration response on sites boost site image and traffic. ..
Sir wizzy, dis my question is important: is it possible to change d imei of an android phone DAT has d marshmallow OS(ie andriod v6.0) to dat of a BlackBerry imei????? Pls sir Wizzy is this plan still working..cuz am realy contemplating abt dis instead of doing it and it doesnt work wont it b beta i go for d 1.5gb for 1k? Bro it is currently selecting SIM and might not work for you unless you are lucky enough. Please am using a z10 and that blackberry complete data stopped working on my fone cos the last subscription i did was that 2g data bundle. What should I do to be able to use that BlackBerry complete plan again. Sorry Cindy, once you activated the 2g network data bundle, u won't be able to use this bis plan again. Airtel stylishly used that plan to remove many people from the bis plan. Just get another SIM for it. I'm using Camon CX. Tweaking imei requires rooting first.. No way to root my phone for now. I guess my subscription will waste away. Any help? Can I get your whatsapp contact?? ?